This is a portable pet restraint that works indoors and outdoors. It folds up for easy transport and can be used at sporting events or pet showings. The initial concept was to provide pets a place to relax much like a folding chair is used. This is a unique design not similar to any other restraint devices being sold. 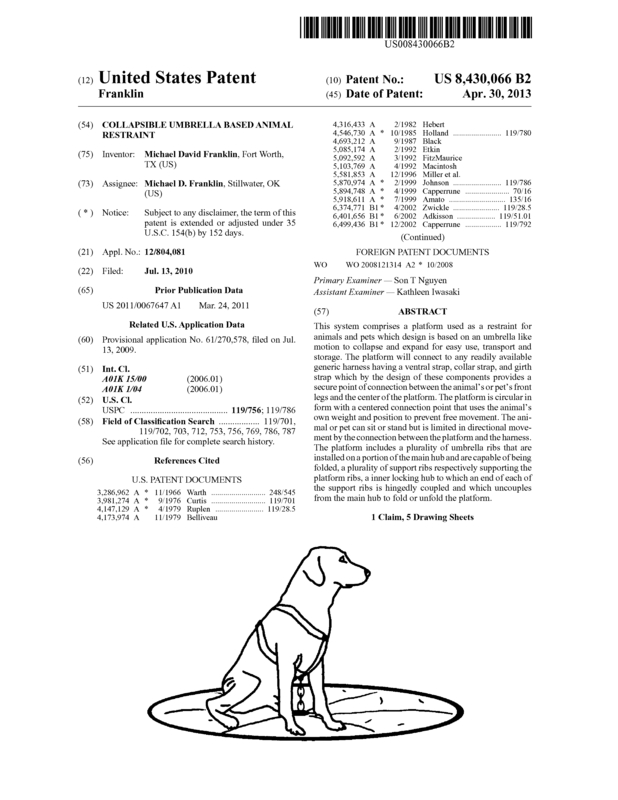 This patent was issued a little over a year ago and though many companies have contacted me, in the end they require up front cost for prototyping and marketing. They are service providers and I'm looking for a partner to license the patent to, or to sell it outright. Page created at 2019-04-25 10:00:47, Patent Auction Time.